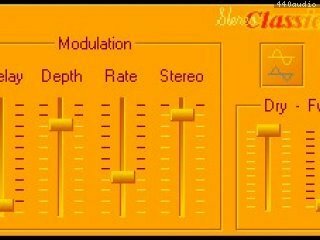 This software has been discontinued by Blue Cat Audio. Using the same algorithm as Blue Cat Flanger, this plug-in adds a unique feature to the original effect: you can smoothly transform it into a stereo flanging effect with a single slider. * New Windows Installer (much faster install, improved upgrades). * Bug Fix (PC): Cubase freezes when loading a preset using a different skin while the plugin window is open. * Blue Cat's Skinning Language 1.6.1 support. * New skins with enhanced usability and new look and feel. * New toolbar to access main features. * Import/Export presets in a host and platform independent format. * Smooth Bypass: activate/deactivate the plugin with absolutely no noise. * Improved parameters display in host application and settings window.